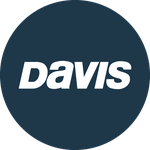 Davis Instruments Support, FAQs and Troubleshooting - How does Vantage Connect work? All Categories ​>​ FAQ ​>​ Vantage Connect ​>​ How does Vantage Connect work? Vantage Connect is a cellular communication box that works with our weather stations to send weather data to weatherlink.com. Once the data is online, you can use your personal cell phone, tablet or PC to access it anywhere you have and Internet connection.